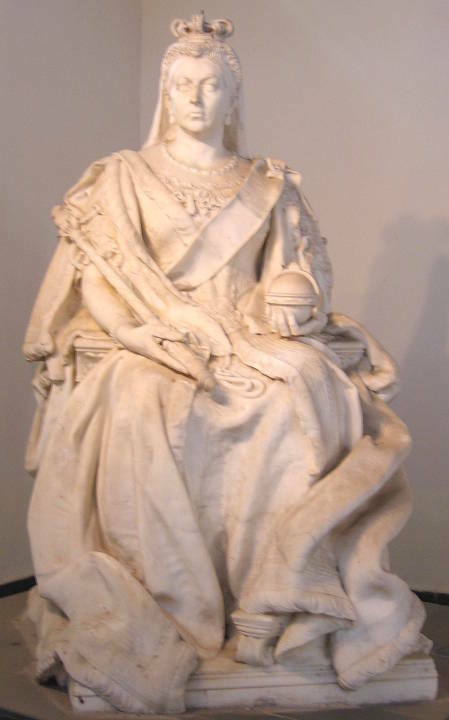 This statue of the Queen Empress is virtually a duplicate of the one made for Ayohdya. Steggles, Mary Ann. Statues of the Raj. Putney, London: BACSA [British Association for Cemeteries in South Asia], 2000. Page 207.